Microsoft adds the feature that would allow users to uninstall OneDrive on Windows 10 devices. In case you don’t use or prefer some other cloud storage service as the primary storage service on your Windows PC desktop, laptop or tablet, then with the new official workaround released by Microsoft, you will be able to uninstall OneDrive Sync desktop app. 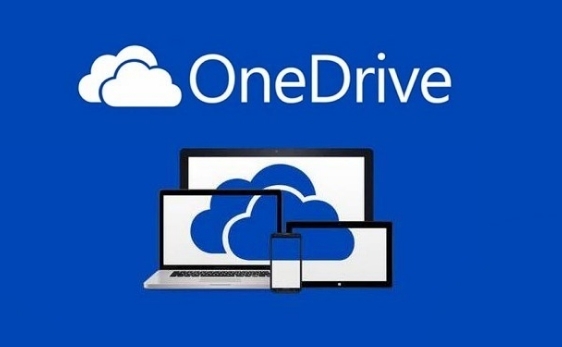 It is now possible to uninstall OneDrive cloud service completely from Windows 10 device without using any workaround or third-party tool to get rid of OneDrive desktop app from Windows 10 PC. In previous Windows versions, you could manually uninstall OneDrive client, but on Windows 10, Microsoft made it a part of system apps that came pre-installed on Windows 10 making which users could not uninstall from the Control Panel or Settings app. But this has changed now as Microsoft seems to have recognized that no every Windows 10 users is fond of OneDrive or it may be consuming too much hard disk space is the app contains too much data. Therefore, it has added the uninstaller to remove OneDrive like any other Windows app. If the OneDrive app doesn’t appeal to you, or you like to use some other cloud storage service as the main cloud service on Windows 10, you can now use Control Panel or Settings app to completely uninstall OneDrive from Windows 10. It’s unclear whether the option will be available permanently or is a temporary offer. But one thing is for sure that you can now uninstall OneDrive on Windows 10 officially, legally, and completely. Basically, there are two ways to uninstall OneDrive from Windows 10, you can use Settings or Control Panel for the purpose. Please note that removing OneDrive desktop app from Settings app may require multiple attempts before it uninstalls completely from Windows 10. 2 – Click Uninstall a program. 3 – Select OneDrive and then click uninstall button. One restart is complete, you will no longer see OneDrive desktop app on File Explorer window or anywhere on the Windows 10 device. 1 – Open Settings app. 2 – Click on Apps & features. 3 – Select Microsoft OneDrive. 5 – Click Uninstall again when asked to confirm your selection. Like i mentioned above, removing OneDrive from Settings app can take several attempts on some devices. If you still see the OneDrive app after restart, try the above method again, or uninstall from the Control Panel. The methods above do not delete already synced files, you can still access OneDrive from File Explorer to open synced files in OneDrive. If you have changed your mind and want to restore OneDrive, run the OneDriveSetup.exe backup file and restart PC to get the app back on Windows 10.